Another shot from Lucy's nap in the sun yesterday. So beautiful and serene ! the light on her face really brings out the sheen on her short coat ! I love the lighting in this and it's such a cute shot. Love this Lois she looks so peaceful! This is GORGEOUS lighting, Lois. Wonderful! Simply spectacular lighting. An instant fav. She looks as though she is meditating. Beautiful .. great light, great portrait. Fab lighting...wonderful portrait of your sweet girl. 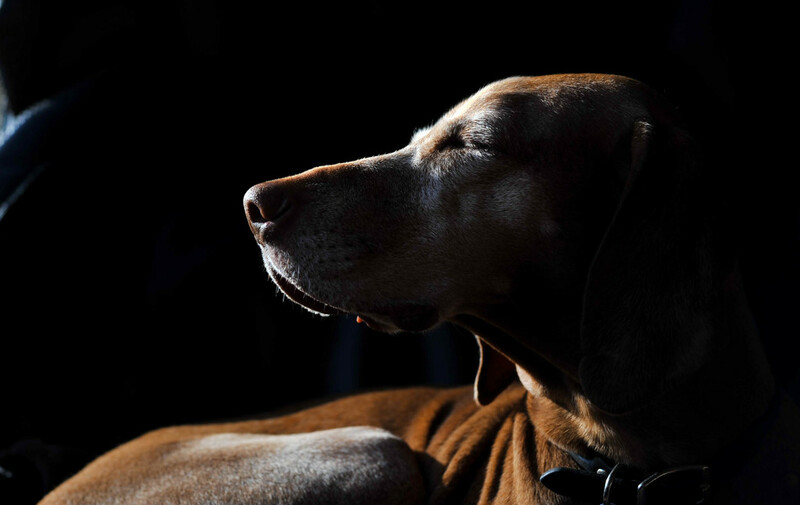 Amazing light and that beautiful doggy face! she looks so content! Great lighting!